Tests World > Fun > Quiz: How much will my wedding cost? The cost of your wedding depends on the type of person that you are. Take this quick and easy test to see how much your wedding will cost!! Do you have a taste for expensive things? Do you have a price limit for the wedding dress? Do you care for the finer details? Of course! Everything needs to be perfect! What is the most important thing about a wedding for you? If you could pick one place to get married, where would it be? Would you make anything by hand? Everyone i've ever spoken to! Do you like to impress people with the things you can afford? You care more about sentimental values than materialistic things. You can make things look beautiful on a budget and it doesn’t mean that your wedding will be any less elegant. You are more careful with your money and are thinking of the time after your wedding. All you care about is your close family and friends being with you on your special day. This means that you will have more money to enjoy after the wedding. You have a budget that you don’t want to surpass but you have saved up a lot of money for this wedding and you want it to be special with some finer things. You aren’t silly with your money but you like to show people the things that you have earned. You have a lot of family and friends and therefore you want a grand wedding. Perhaps you could cut down on some expenses by making some things yourself. This way it will add a more of a personal touch. You don’t have a budget for your wedding. Nothing has a price. You want everything to be perfect and you aren’t too bothered at what price. You have earnt and saved enough money to have the wedding of your dreams and you want everyone to share and enjoy your special day as much as you will. You will get married in a grand venue and the after party will be just as big as the wedding itself. Perhaps you should try and watch where your money is going from time to time, a wedding can cost a lot more than what you think. A wedding for some people can be a big expensive day, but for others it can be cheap and tasteful. 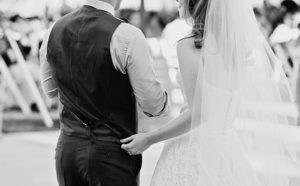 Your wedding depends on the type of person that you are. It is always a good idea to know how much your wedding will cost in the future so then you can plan and save for the big day. Thanks to this love quiz, you can find out how much your wedding will cost and start making preparations! Take this quick and easy marriage test now!